If Colecovision would not have tried to be the Atari of the computer world, Colecovision was set to bring the NES style home in 1984… Check out this release… one of the last for Colecovision. Alcazar was very close to the later released Zelda! 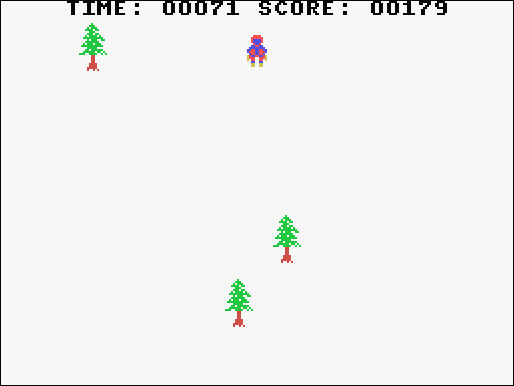 Powder Snow ist ein brandneues ColecoVision Homebrew Spiel von Nicam Shilova. – Downhill: Versuche deine Route so schnell wie möglich abzufahren, bevor die Zeit endet. – Slalom: Passiere die Flaggen systematisch, ebenfalls unter Zeitdruck. Bei einer verpassten Flagge gibt es Straftzeit! Gradius für ColecoVision!? Bald Realität – Vorbestellungen sind ab sofort möglich! „ZX81 – two new game releases for the Sinclair ZX-81: It took a little while to get everything ready for release, but I can finally announce the release of two new games for the Sinclair ZX81: Avalanche and Mayhem. The games are available on cassette tape and as digital download. 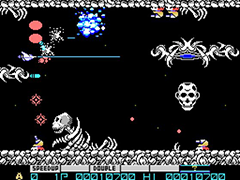 For more information about the games, visit the ZX-81 section of the revival studios website. 2012 Game Catalogue: A profesionally printed 2012 game catalogue is now freely available with every order. It contains an overview of the games for vectrex, videopac/o2 , colecovision / msx / sega sg-1000 and zx81 , as well as a few upcoming projects. Videopac/O2 – Revival Studios 2012 rewards competition: Looking for a challenge? Missed out on the Collectors Edition of Mage? Would you like a free game? Then join the Revival Studios 2012 Rewards Competition with more than 120 euros worth of prizes! The Rules: Each of my videopac games has a number of rewards (or achievements/trophies if you will) that can be unlocked by performing certain tasks in the game. Once you met the criteria for a specific reward, you can upload you highscore code (even if you didn’t get a highscore) these rewards will synchronise when using the same nickname. The person with the most unlocked rewards on january 1st, 2013 will be the winner. Scoring: Rewards can be found in the following six games: AstroDodge (2011), Mayhem (2011), Colorclash (2012), Mage: The Enchanted Crystals (2012) and the soon to be released Cavity (Q3-2012) and Stairrunner (Q4-2012). These games consist of bronze, silver and gold rewards. You can view all the rewards and their descriptions for each videopac/o2 game here. On average, each game will contain 1 or 2 bronze, 1 silver and 1 gold reward. This means that even if you don’t own all games, you could still win if you get a few of the more difficult 6-point gold rewards (like for example getting 1000 points in big-ship mode). In an event of a tie, the fastest time/highest score in Mage will be decisive. A tip to get you started: To unlock the easter eggs in Astrododge and Mayhem: You have to hold a specific key during the splashscreen until the titlescreen pops up. Videopac/O2 – Mage: The Enchanted Crystals a great success! 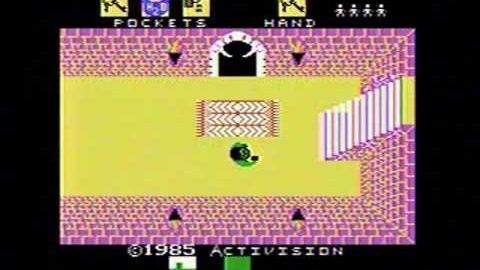 The release of my Videopac and odyssey2 game Mage: The Enchanted Crystals has been a great success! People really seem to like the game and it has been called the best looking videopac/odyssey2 game out there by many people! Thank you all for such a positive reception! For more information about the game, visit the game’s website here. For more information about the game, visit the game’s website. You can order your copy, by replying/emailing to: sales@revival-studios.com. 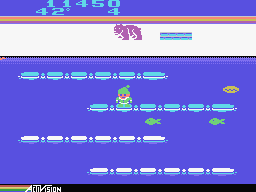 Sega SG-1000 / MSX / Colecovision update: Now that the ZX81 games are finished, it is time for me to put in the final stretch and finish my games for the Sega SG-1000, MSX and Colecovision. Productionwise it is nearing completition and the final hardware and materials to make it all happen is on its way as we speak. 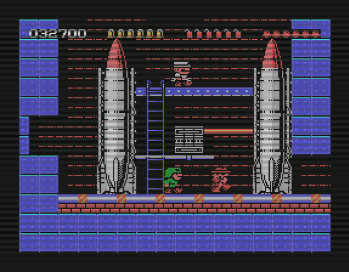 It looks like the SG-1000 and MSX version will be out first, with Colecovision following later this year.